The party was reacting to the plot purportedly issued during a closed session of the Senate, on Tuesday. 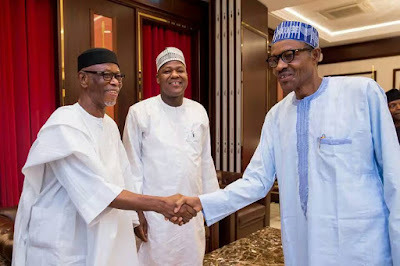 APC’s position was contained in a statement signed by the party’s National Secretary, Mai Mala Buni, in Abuja, on Wednesday. According to him, the Party advises the Senators in question to stop what he called “this huge joke” and concentrate on their primary constitutional responsibilities of lawmaking. He urged them to pay greater attention to discharging their legislative mandates to their constituents a task they have been elected to perform at the National Assembly.